There’s an almost Mediterranean charm to the rolling hills here in Michoacán, a state in western Mexico. Avocado farms occupy vast stretches of land, and the rows of low-growing trees resemble the olive gardens of southern Europe. These idyllic farms grow millions of pounds of avocados that Americans consume every year. But there’s a dark story lurking beneath the surface of the fleshy green fruit—and the bowls of guacamole it produces. A drug cartel known as the Caballeros Templarios, the Knights Templar, has infiltrated the avocado sector, and now controls the local trade, from production to distribution. In Mexico, the avocado is called aguacate. It has been a staple food here for thousands of years. 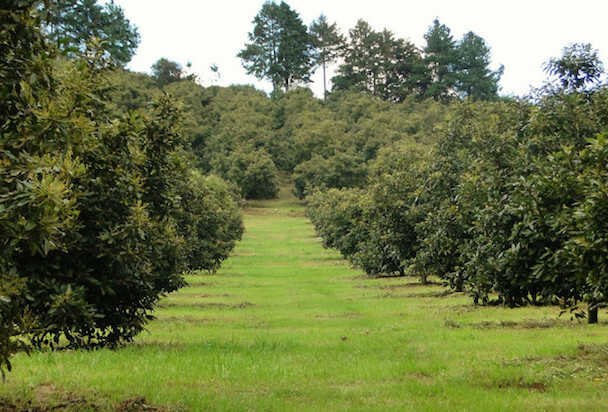 It’s also Michoacán’s principal export: 72 percent of all Mexican avocado plantations are located in the state. More than 80 percent of Michoacán’s avocados are exported to the United States—the bulk of them of the fatty Hass variety. In the latter half of 2012 and the early part of 2013, the U.S. imported nearly $1 billion worth of avocados from this state. Not surprisingly, a common nickname for the fruit is oro verde, green gold, because it yields more cash than any other crop—including marijuana. Few people here know more about avocados than Jesús, 50, whose family has been developing plantations and growing the fruit for generations. He took me on a drive around the countryside to show me the ins and outs of his trade, as long as I didn’t reveal his real name. Like many avocado farmers, he is afraid of the Templarios. “The avocado used to make us all very rich people,” he says as we drive through miles of farms. “A single hectare, yielding one harvest every six months, can make a trader up to 1.5 million pesos ($113,000) per year. During the good years I easily made yearly profits of $1.5 million.” The good years were the ’80s and ’90s, when Jesús’s family was among the wealthiest in Michoacán. Those days are gone. Last year, Jesús barely scraped together a profit of $15,000. Once, he had more than 100 people working for him. Now he has only seven. “The Templarios have ruined my business,” he says. “I don’t know how much longer I have until I go bankrupt.” For decades, rich drug traffickers have purchased avocado plantations to launder money or to make legitimate profits. It wasn’t until several years ago, however, that the Templarios became further involved in the avocado business. The cartel derived from an earlier group of drug traffickers known as La Familia Michoacana. La Familia was founded by Nazario Moreno, called The Craziest One, a former preacher who reportedly wrote his own version of the Bible and recruited new members at drug rehab centers. Under his stewardship, La Familia gained thousands of followers. Most were converts to Moreno’s strange brand of evangelical Christianity, which uses Old Testament verses to justify beheadings and other brutal tactics. Not content to traffic marijuana, cocaine and heroin, La Familia set up a variety of extortion rackets in Michoacán. The avocado business was one of them. But after Moreno was reportedly killed in 2010, internal strife led to his gang’s dissolution and the creation of its offshoot, the Templarios. This new gang intensified Moreno’s forays into extortion and kidnapping, but went even further. 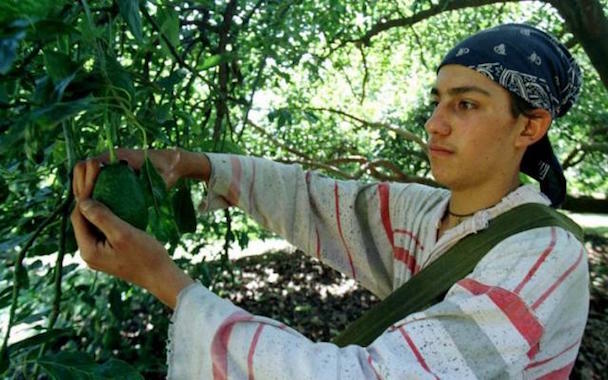 Now avocado farmers and traders say the Templarios not only demand money, but they also actively take over plantations and packing plants. Here in Michoacán, very few dare to speak openly about the Templarios. The farmers prefer to simply call them los malos, the bad guys. With an estimated 100,000 people working directly or indirectly for the cartel, lookouts abound. “We are always being watched,” says Jesús, as we eat at a taco stand in Uruápan. He quickly changes the subject when a man in his 30s in a baseball cap sits next to him. On his elbow, the man has a tattoo of a sword, one of the symbols of the Templarios. A major part of the cartel’s success is its ruthless efficiency. 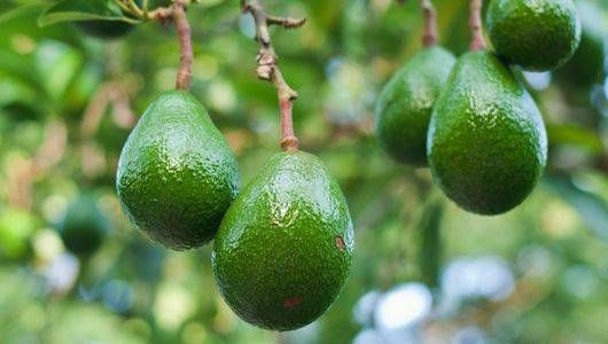 Through the Michoacán State Committee of Vegetable Health, the authority that regulates the quality standards of farming products, the Templarios have managed to obtain detailed information about every avocado farmer in the area. All are required to tell state authorities how big their land is and how much they produce. Through threats and bribes, the Templarios have gained access to those lists. The extortion usually occurs by phone. The narcos call farmers and tell them how much they have to pay: 10 cents for every kilogram of avocado they produce, $115 for every hectare of land they own. Those who export the fruit have to pay up to $250 per hectare. The Templarios collect the money—cash placed in a bag at an agreed upon drop off—once a year, usually in January. The extortion fees are non-negotiable, says one farmer, who asked to remain anonymous for fear of reprisals. “It’s no use trying to convince them to demand less,” he says. “They know exactly how much you own. If you lie to them, they’ll kill you or one of your family members.” This farmer lost two sons last year. 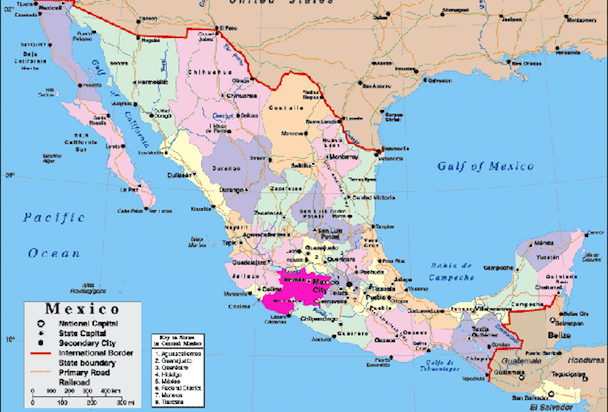 They were kidnapped in Guadalajara, the capital of neighboring Jalisco state, after he refused to hand over a plantation to the Templarios. “They demanded I pay $1.5 million. 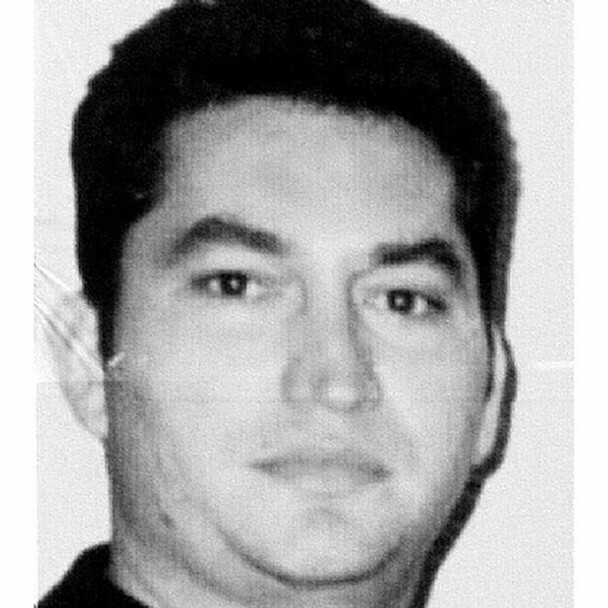 I sold everything I could,” he says, “my house, my cars, everything.” Even after paying the ransom, his boys were never released. He now thinks they are both dead. The Templarios tend to dispose of their hostages quickly. Every link in the avocado production chain is a cash cow for the cartel, from the quadrilleros, or pickers (whose employment agencies are forced to pay $3.50 per worker per day), to those who buy, develop and sell plantations. The extortion racket is lucrative. In some municipalities, the estimated proceeds come to $3 million per year. Jesús says the Templarios want to control everything—that the cartel is already stealing land and taking over packing plants. Fighting the group is pointless, many farmers say. The Templarios employ hundreds of lawyers and notaries to launder cash and falsify deeds and contracts. Most white-collar Templarios are involuntary participants. They are given the choice between plata o plomo, silver or lead. Three weeks ago, one notary in Uruapán who refused to sign the deeds to his plantations over to the cartel was severely punished: His son was kidnapped and killed a few days later. The extreme violence surrounding Mexico’s avocado business is relatively new, and so is the industry’s dominance in the states. In 1997, the U.S. Congress lifted an eight-decade embargo on Mexican avocados. 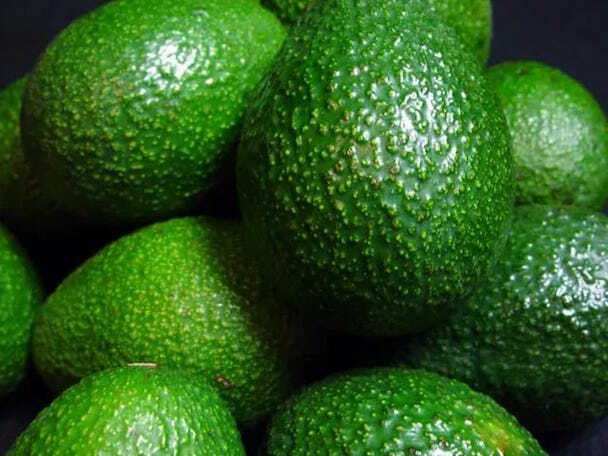 Business has since surged, and a number of U.S. avocado traders such as West Pak and Mission have established footholds in Michoacán, among other places. I contacted both companies to see if the Templarios have affected their business, but neither responded.